You must be looking at different data then. We will know soon anyway. The flight recorders are being looked at now in Germany. I thought that they were in France. I think that Capt Kremin is out of touch! They are. Presumably at Le Bourget, HQ of the BEA. I don't buy the "double rotation" scenario either. Last edited by N600JJ; 15th Mar 2019 at 12:25. It's utter nonsense for many reasons, not least because of this odd idea that getting an MBA turns humans into sociopaths. All this rhetoric about bean counting, criticism of an aviation culture that has become one in which the industry doesn't care if people die, that pilots can't fly planes any more, and that technology has made planes unsafe, flies in the face of aviation safety statistics which show a continuous reduction in fatality frequency that any industry would be immensely proud of. We simply do not live in a world in which humans don't make mistakes. To err is human. We must always learn from mistakes, and the history of aviation safety is an exemplar of that. Excluding malicious acts, every single death in the history of travel has occurred because one or more people made a mistake in strategy, decision making, design, or operation. It's quite possible that the Max story is going to become a classic safety case study. But witch hunting doesn't get us anywhere. So the statistics of which you speak saw the Challenger launch successfully 10 times. So the statistics of which you speak saw the 737 MAX fly successfully until it didn't last year. Statistically, extrapolating the hull loss of the 737 MAX indicates that the hull loss rate is now intolerable. So which statistical data set is the valid sample? The focus of the post graduate program in the modern age is to be relevant to business. Perpetual profit in a finite world is utter nonsense, yet every graduate is taught grow revenue and cut cost. Seemingly inexhaustible right? How low can cost be cut before it matters? An endless loop question? Nobody stated the graduates were sociopaths, that is alarmist. What is obvious to those of us who witness it is that these graduates know little of process, know little of design. Their skill set can be readily applied to any corporate endeavour. After all it is marketed as an Masters of Business Administration (Generic) One size fits all. The normalisation of deviance is not a witch hunt, it is a scientific investigation into acceptance of deviance from safe practice. The deviation takes place an increment at a time. Boeing engineers foretold their concerns about Boeing. The very people charged with building the product stated the process had been compromised. Their focus was not to be quality, rather schedule and self evidently cost. Management documents state that clearly, deviation from accepted quality was permitted to protect schedule. Not the 737 MAX program incidentally, it was the 787. Similarly, the NASA engineers had their concerns with O-Ring by pass. As did the engineers of Morton Thiokol. Progam management dismissed their concerns, focused on schedule and budget. Program cost, budgets, schedule and commercial viability overcame opposition from concerns for launch integrity. Everybody knows what happened next. The case study of which you speak need not have been the 737 MAX. People made mistakes in design, strategy, decision making and operation. The Boeing 787 program had all the hallmarks, the engineers in Boeing noticed the change, they called out the deviance. Statistically they have gotten away with it so far. Perhaps the 737 MAX need not be a case study, the Challenger Launch Decision shows the template to anybody bothered enough to read it, having read it, the similarities are stark. If this horrible loss of life was triggered by the same system that is believed responsible for the Lion Air accident, then statistically Boeing is going to have a hard time pointing to their statistics. You should read the book "Managers, not MBA's" by McGill's Henry Mintzberg to understand what he is getting at. Training people to hit quarterly eps targets so that you make your bonus deters from long term planning and encourages short term fixes. gums thanks for the reply jimtx i did not read all the pages so excuse me.. i was just wondering if there was something more to this. just wanted to know if the MCAS system has its own non controllable trim motors that we cant shut off in the cockpit!!! I know how its is supposed to work based on what I have been trained on. I flew one on tuesday and had NO issues. And by the way 20k plus years and hours in the 737! This seems a poor FAA perspective. By definition, 50% of pilots will be below that average skill level. Particularly when they only have 200 hours total. One options suggested by the FR data is that there was no flap set for takeoff. The data shows a 63 second ground roll followed by a rotation at 207 knots. At this point the MCAS may have simply been doing its job. Hard to believe this would happen, but it's happened before. 1. I don‘t think it is possible to survive a flapless T/O at this density altitude and take off mass. 2. Even if they did - after reaching 1000ft and 300kt everything is fine and they could have continued the flight. However, here the disaster started at this point of the flight. Would the reported high speed of the aircraft in the latter stages (383 kts, as cited upthread) go to explain the 'falling debris' mentioned by eyewitnesses? Could that speed have started to initiate hull breakup, or detaching of some other components? Sure about that? Someone new to the aircraft, captain average, and a bit tired. At 3,000 ft, the stick shaker starts going like mad, causing a hell of a racket, and you think you have an airspeed problem and might be stalling. Sure, the controls are getting heavier and heavier, and you trim a bit for that, but this is caused by the aircraft stalling - isn’t it? (You cannot hear the trimmer, over the din of the stick-shaker.) So you have to let the nose drop, untill you are sure you have enough airspeed. I guess that could be plausible if you overlook 3 airspeed indicators, moving trim wheels, control force on the yoke, aircraft attitude. Someone who does all that has failed at his primary job of being a pilot. I have had several incorrect stall warnings including two at rotation. A 1 second cross check showed they were in error. If that is the case then there is likely only one version of the code (eases management of it), but a flag set Yes or No if the fee has been paid or not. If so, and the right code to avoid the issue was actually installed in the aircraft but deliberately switched off, lawyers for the pax, especially those from the second accident, will have a field day. The display options that Southwest and others purchased provides digital readout of AOA as sensed by each of the AOA vanes and a light bringing attention to significant disagreement between those two measurements. It is my understanding that the pair of digital displays and the disagree light may be fitted or just the disagree light. The operation of the control laws and the stick shakers that are driven by the AOA vane sensors are the same whether or not these display options are included on the flight deck. 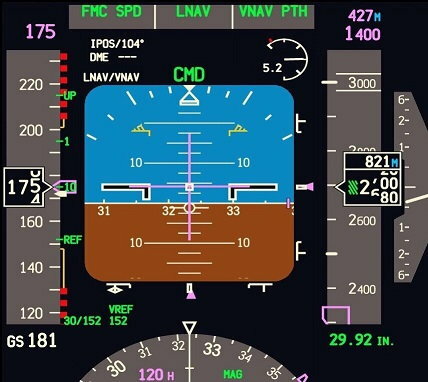 The display options that Southwest and others purchased provides digital readout of AOA as sensed by each of the AOA vanes and a light bringing attention to significant disagreement between those two measurements. Are you referring to the AoA display on the PFD, or to a separate annunciator that isn't present at all on non-equipped aircraft? For comparison, Volkswagen lost over 60% due to their emission scandal. But this could be, and should be big if it's due to MCAS. A ridiculous comparison. VW set out to deceive and cheat the emission testing for commercial gain. Boeing added a function to enhance safety when operating at the edge of the envelope, somewhere most crews should and will never be but perhaps a faulty sensor and lack of a second input has caught them out. Just remember that the crew who flew the affected Lion Air aircraft the day before the fatal managed to land safely. There are trim cut outs, manual trim and electric trim all of which override MCAS inputs. Having read (well skimmed) the interim report of the Lion accident particularly the part relating to the previous flight, it occurs to me that following a flight with major instrument discrepancies, continuous stick shaker and multiple uncommanded stab trim movements it might have been appropriate to add something to the tech log entries like "aircraft unfit for revenue flight pending maintenance action". Would that have prevented the accident? Well, perhaps the manufacturer would have been consulted for a more in depth assessment than a line engineer could provide. So who knows? The nuclear option is sometimes the right choice. Two cases where the aircraft pointed down just after AP engagement, and crew were aware that the augmentation system was only active with flaps 0 and no AP. Couldn't figure out a setup problem with the AP in either case. So why did they report to the anonymous NASA system and not to their airline and the FAA to have the QAR pulled right away and conserve date? I am not familiar with the AOA display layout so I am not sure if the AOA display option that Southwest has purchased is what you show on the PFD or another readout. My comment about displays was based on previous inputs by others on this forum. My comment about the display option not impacting control law logic is based on a number of sources - I am very confident in that. What about the mentions of speed being far too high, even while they were climbing to a safer altitude? That isn't a CoG or trim issue ... ?? With the engines at takeoff thrust a low pitch angle would have the thing sledding along pretty quickly, I would guess. Especially if they weren't keeping an eye on it. Boeing Suspends All 737 Max Aircraft Deliveries A screw-like device found in the wreckage of the Boeing Co. 737 Max 8 that crashed Sunday in Ethiopia has provided investigators with an early clue into what happened, as work begins in France to decode the black boxes recovered from the scene. The so-called jackscrew, used to set the trim that raises and lowers the plane’s nose, indicates the jet was configured to dive, based on a preliminary review, according to a person familiar with the investigation. The evidence helped persuade U.S. regulators to ground the model, said the person, who requested anonymity to discuss the inquiry. France’s aviation safety agency BEA received the cockpit voice and data recorders on Thursday for decoding, while investigators on the scene near Addis Ababa continue to sift through the plane’s wreckage. 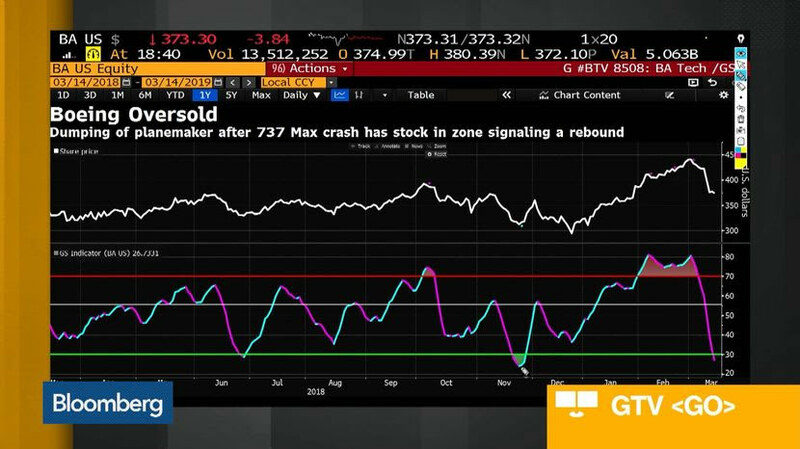 The second crash in five months has thrown Boeing into a crisis, sending the shares plunging and raising questions about the future of its best-selling jet. Separately, the New York Times reported that doomed Ethiopian Airlines Flight 302 to Nairobi was in trouble almost immediately after takeoff as it lurched up and down by hundreds of feet at a time. The captain asked in a panicky voice to turn back only three minutes into the flight as the plane accelerated to abnormal speeds, the newspaper reported, citing a person who reviewed the jet’s air traffic communications. "Break break, request back to home," he told air traffic controllers as they scrambled to divert two other flights approaching the airport. The aircraft had accelerated far beyond what is considered standard practice. All contact between air controllers and the aircraft was lost five minutes after it took off, the report said. Federal Aviation Administration chief Daniel Elwell on Wednesday cited unspecified evidence found at the crash scene as part of the justification for the agency to reverse course and temporarily halt flights of Boeing’s largest selling aircraft. Up until then, American regulators had held off even as nation after nation had grounded the model. Boeing shares have lost 12 percent, or $28 billion in market value, since Ethiopian flight 302 went down on March 10. The shares were trading at $372.20 in early U.S. trading Friday, little changed from Thursday’s close. All 157 people aboard died after the plane crashed near Addis Ababa, Ethiopia’s capital. The jet’s flight recorders are in France, where they are being analyzed at the BEA’s laboratories. The agency posted a photo of the mangled hardware and has yet to comment on any progress on getting the data. “The investigation process has started in Paris,” Ethiopian Airlines said in a Twitter post on Friday. No, at the density altitude they were at that speed would be well under VNE.